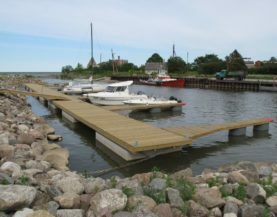 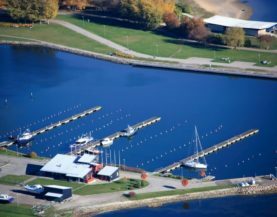 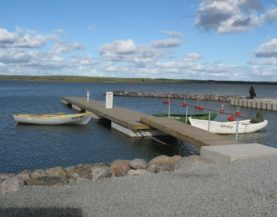 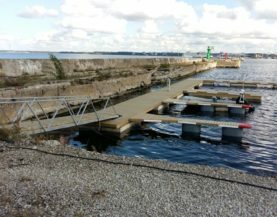 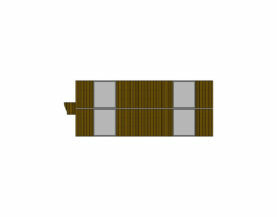 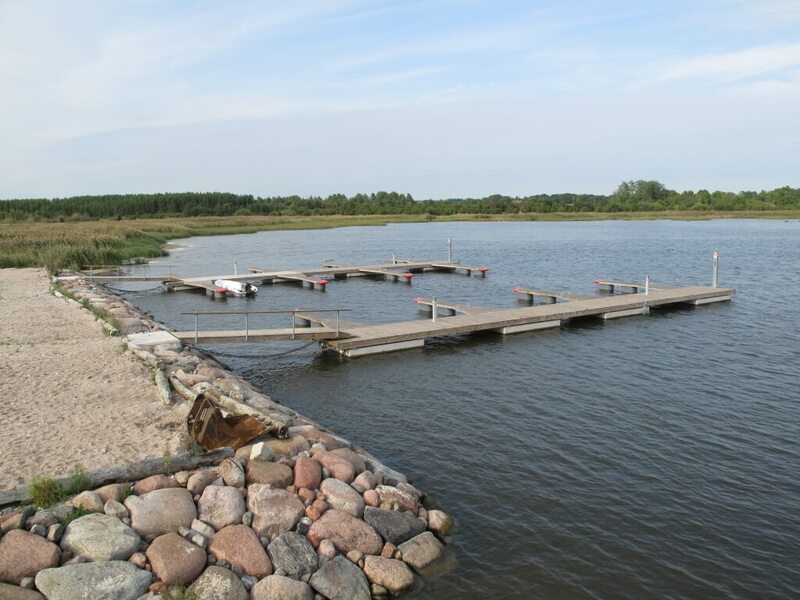 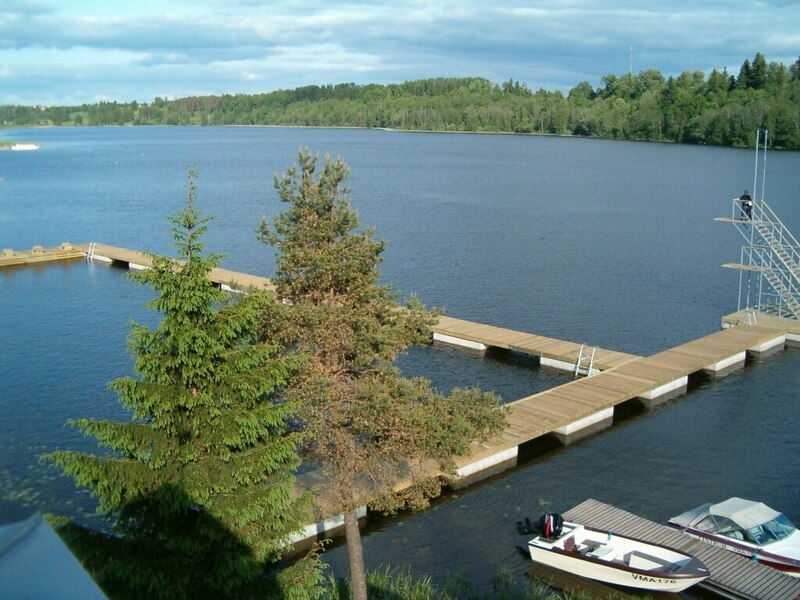 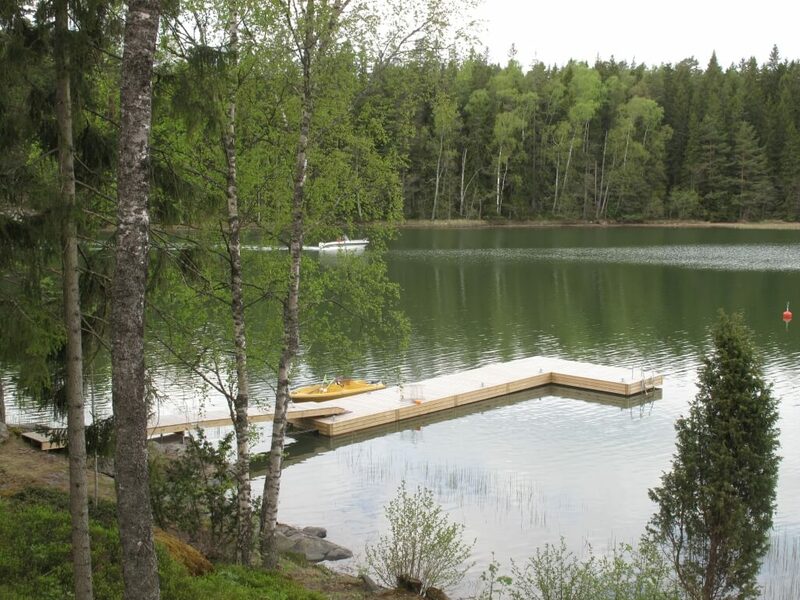 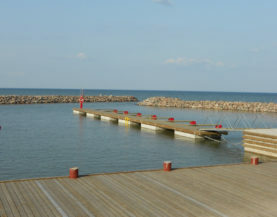 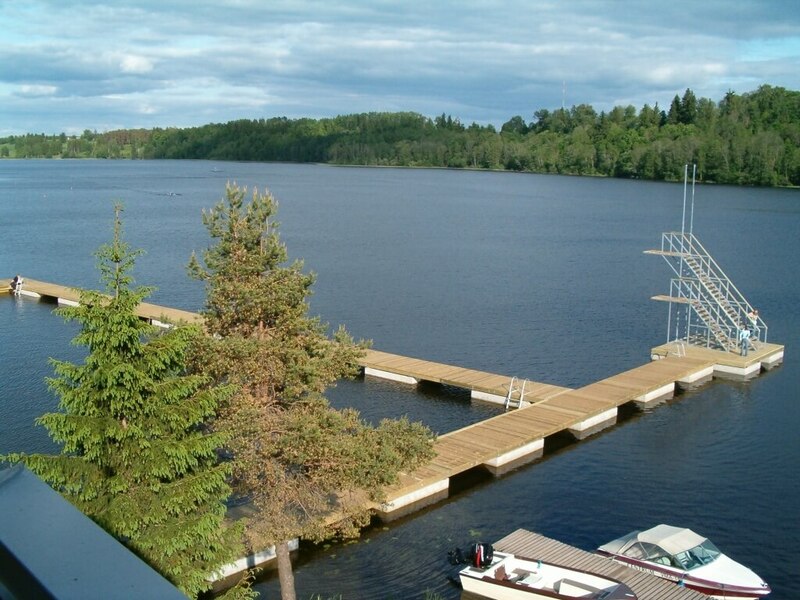 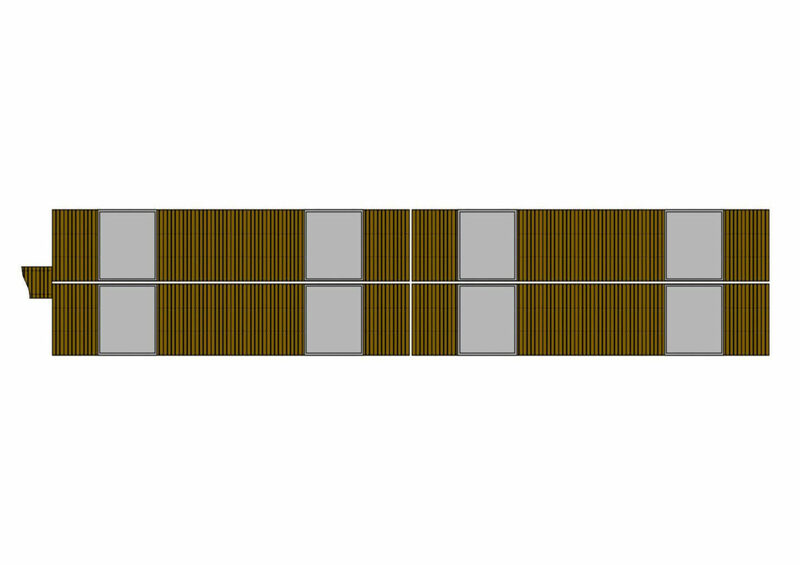 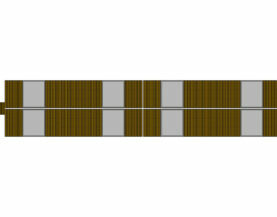 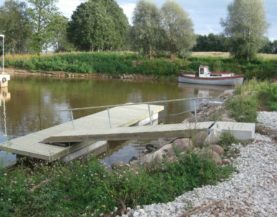 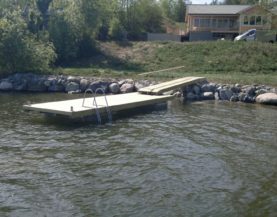 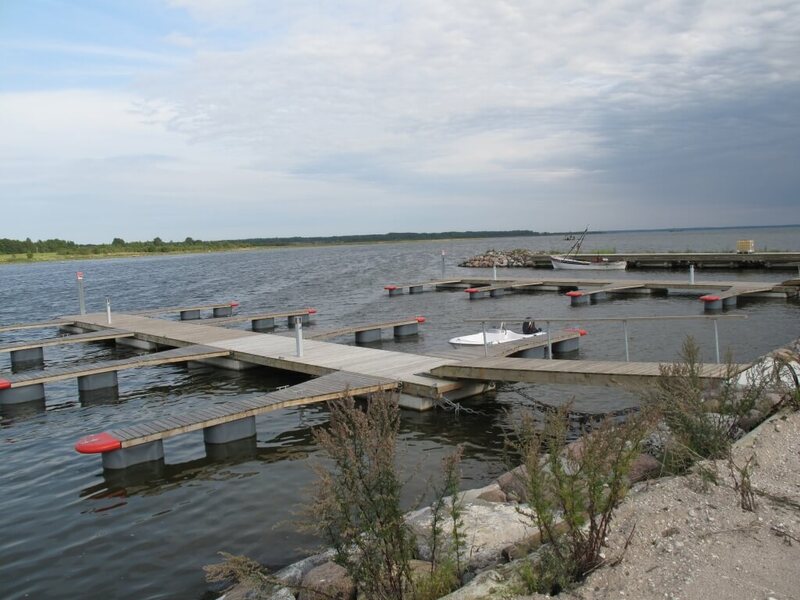 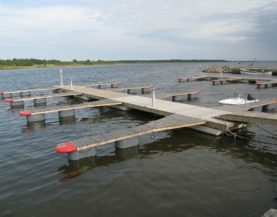 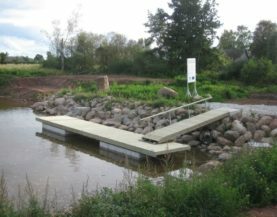 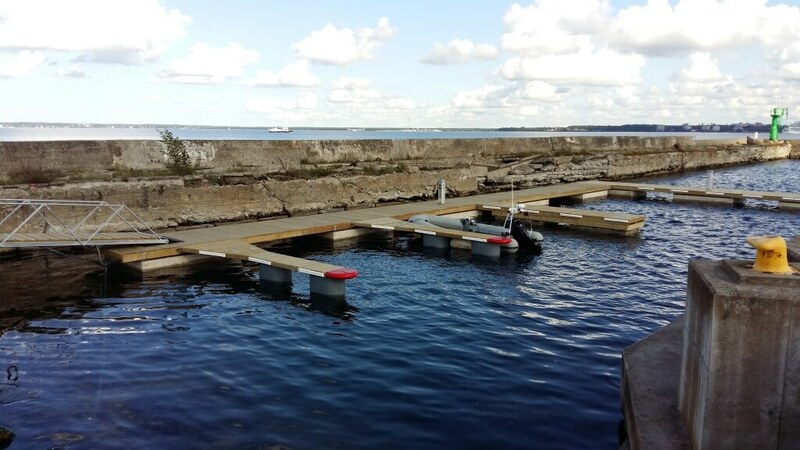 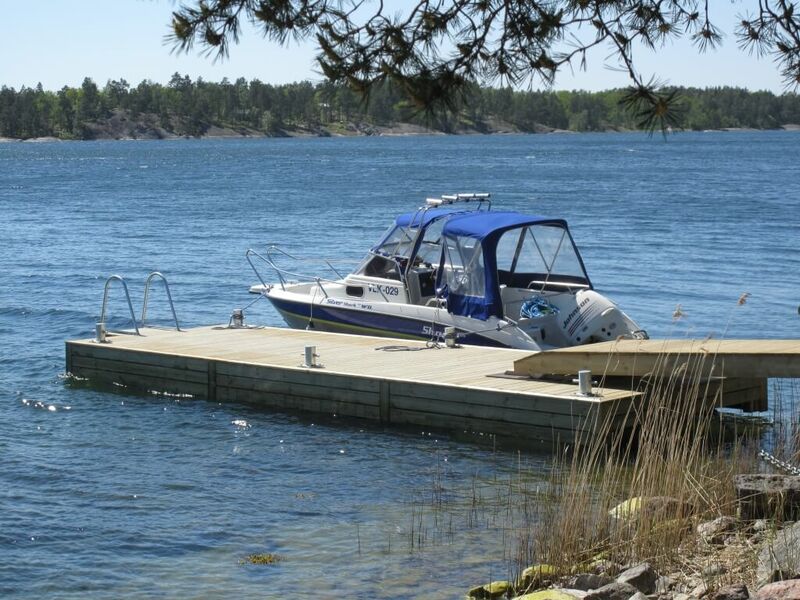 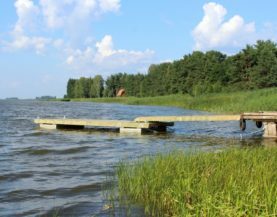 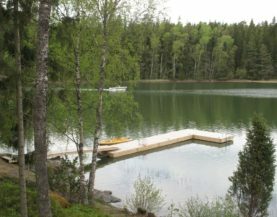 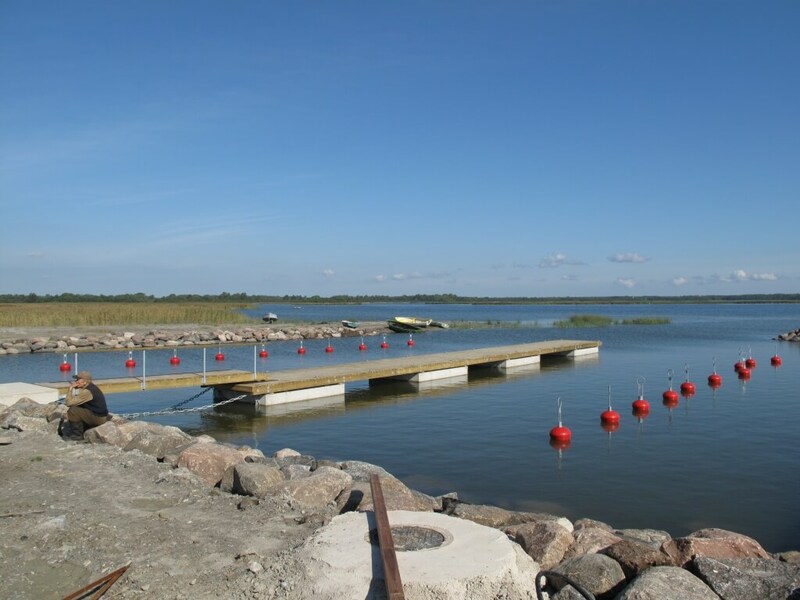 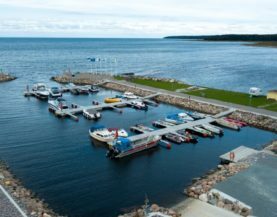 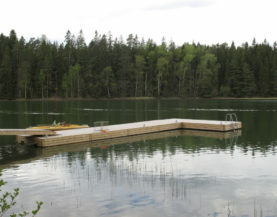 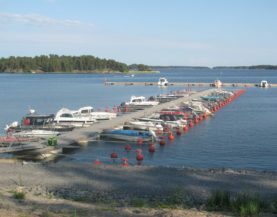 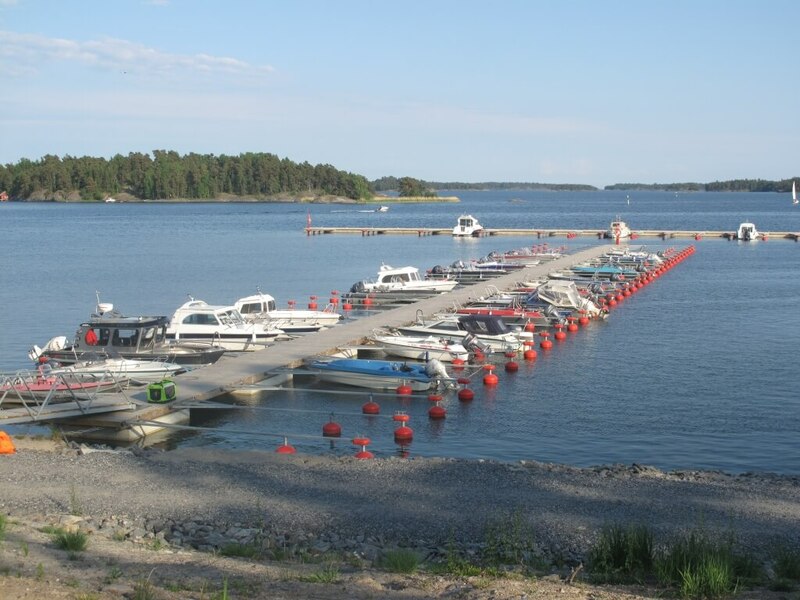 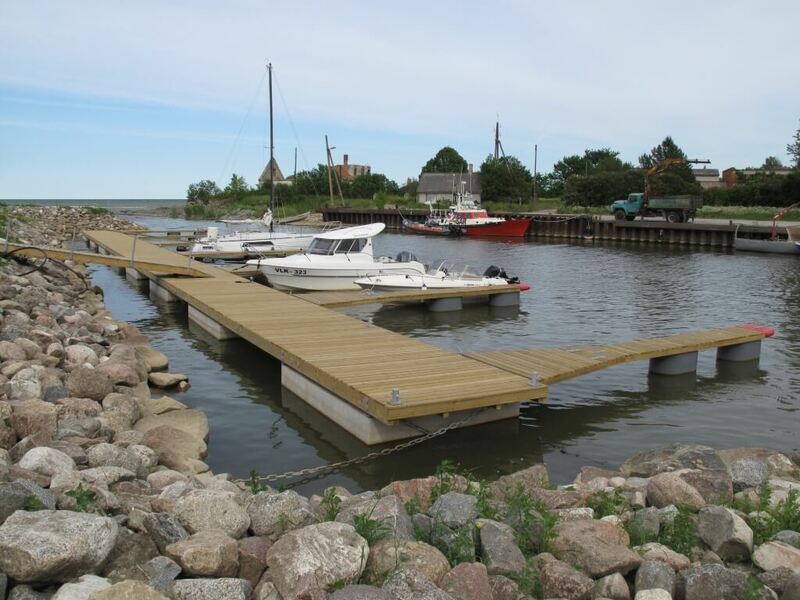 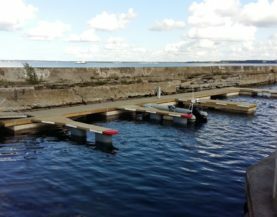 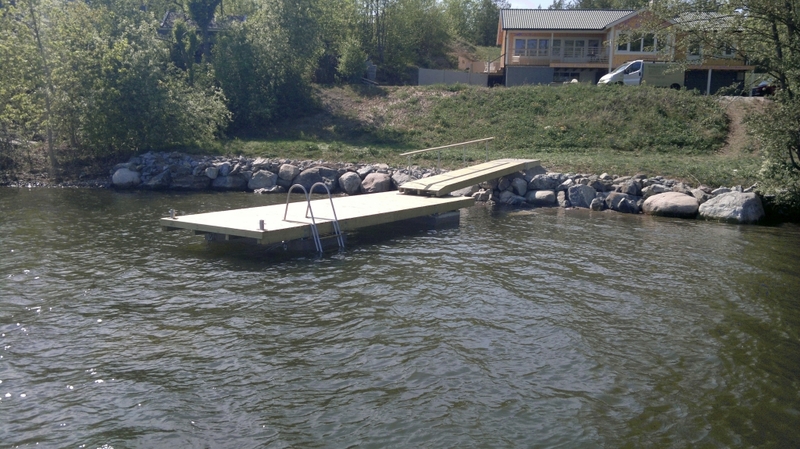 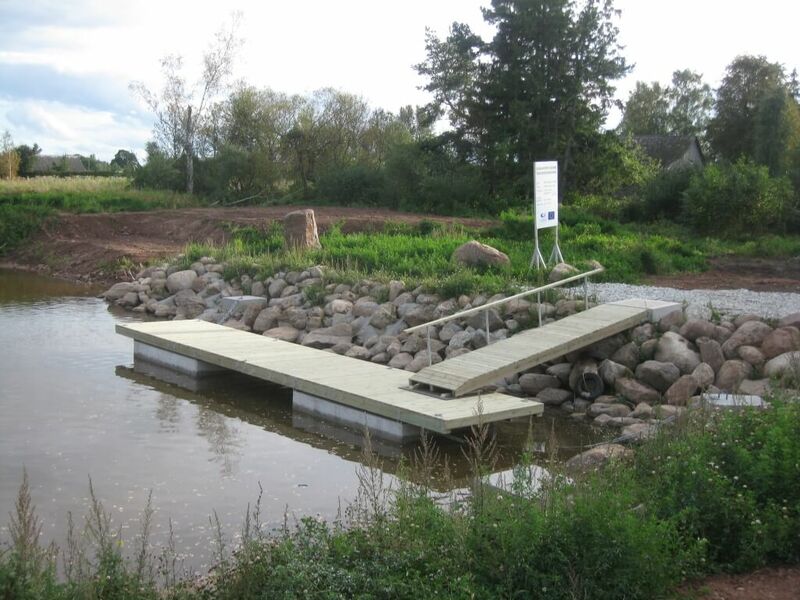 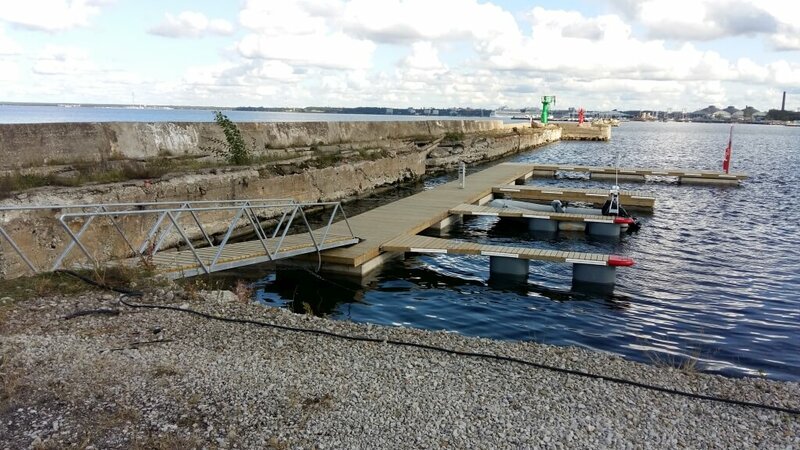 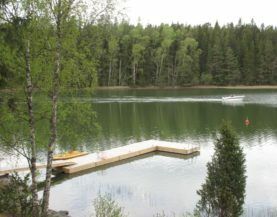 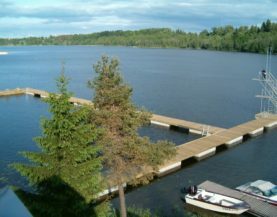 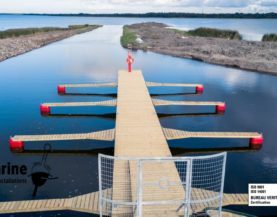 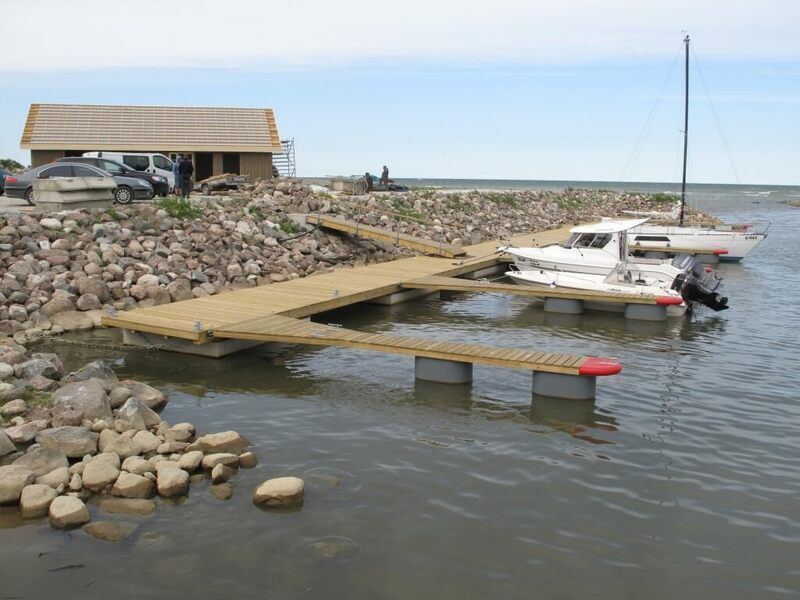 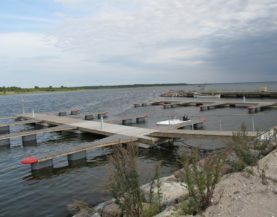 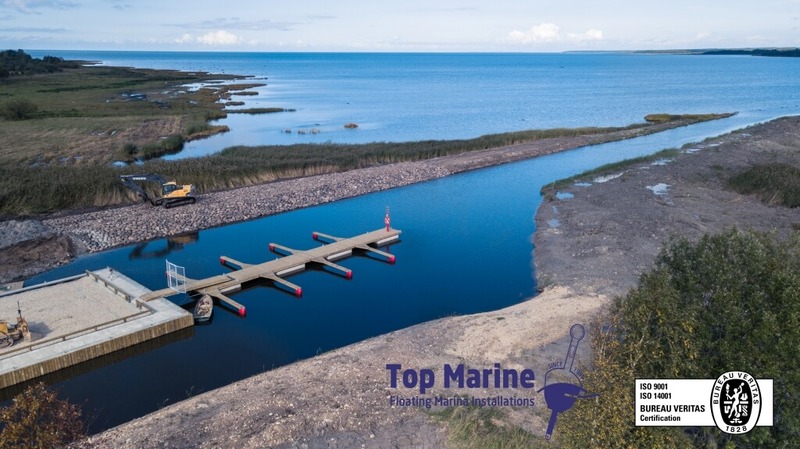 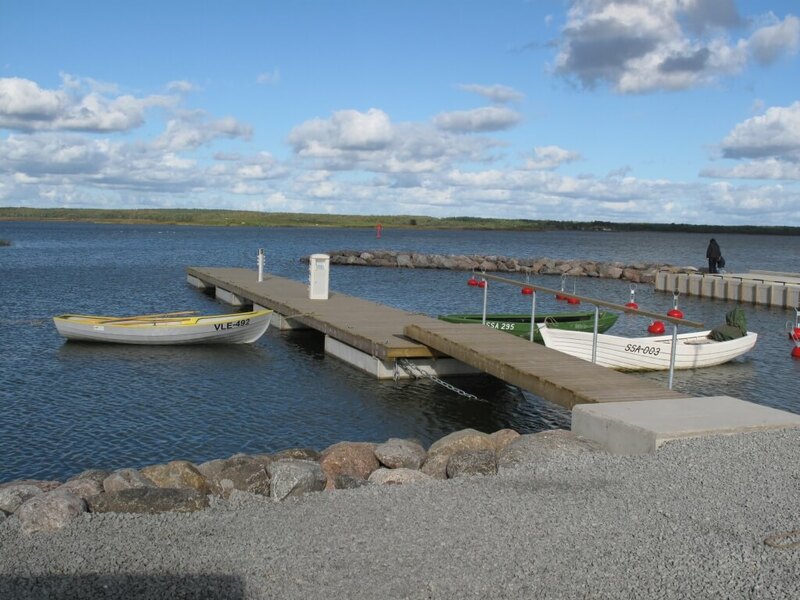 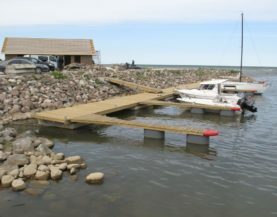 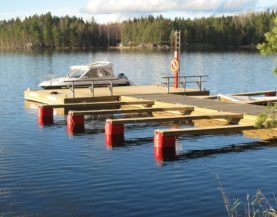 The timber pontoons with concrete floats have a high load-carrying capacity and are stable and durable. 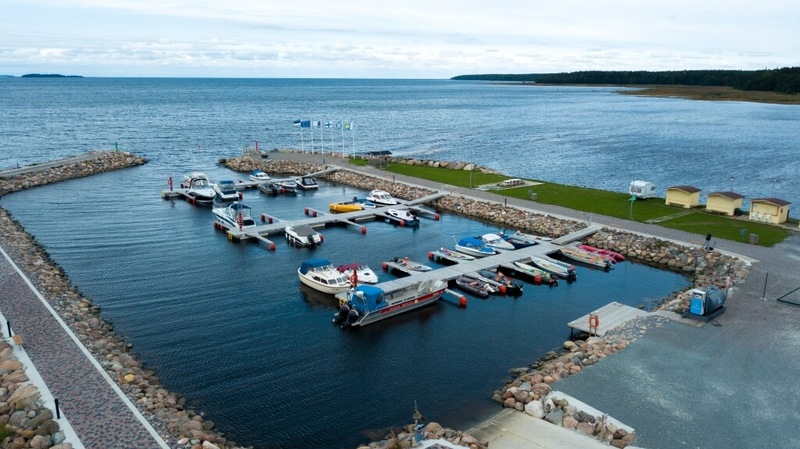 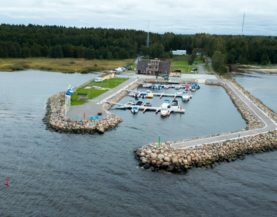 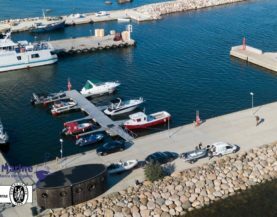 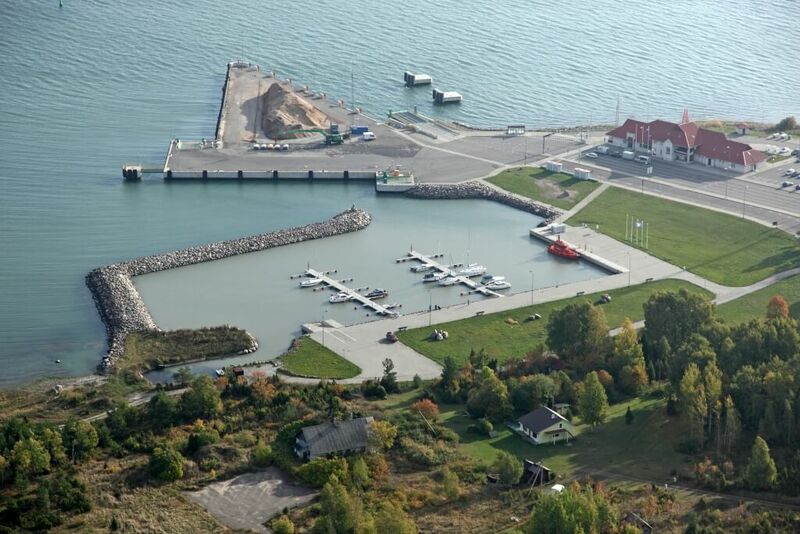 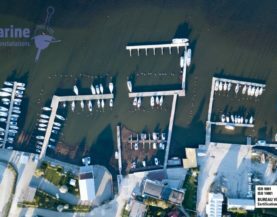 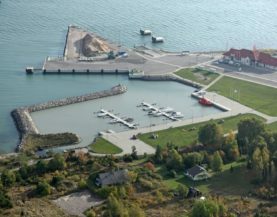 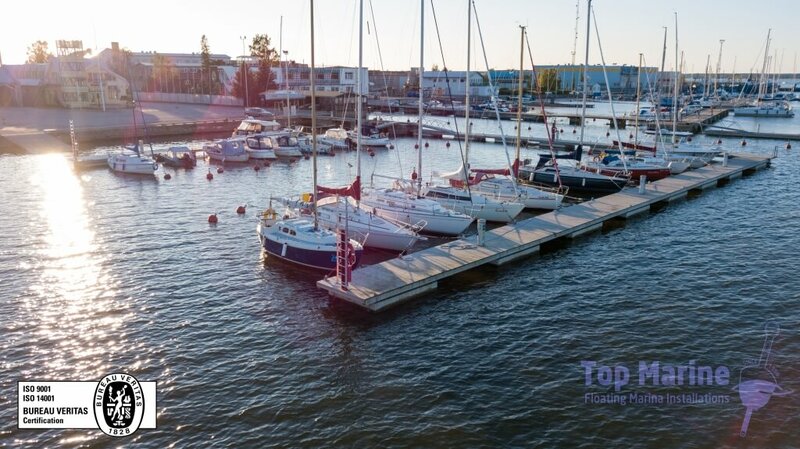 Suitable for use in boat or yacht harbours that are in closed port basins (protected with a breakwater); they are also ideal for the construction of floating platforms and houses. 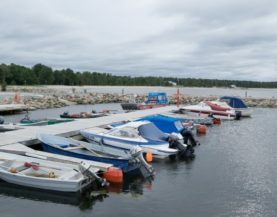 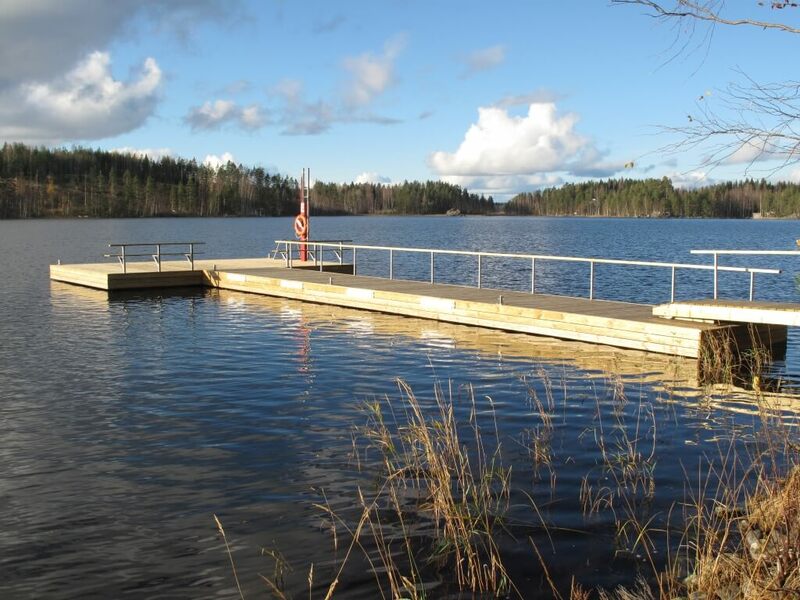 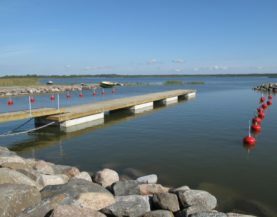 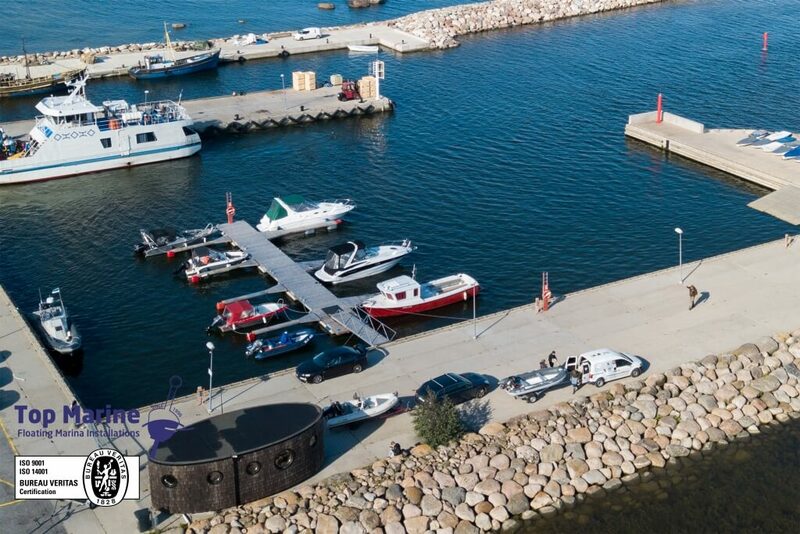 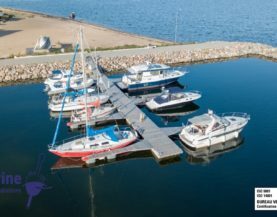 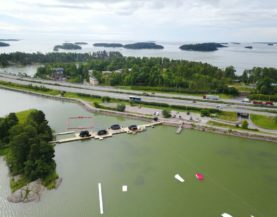 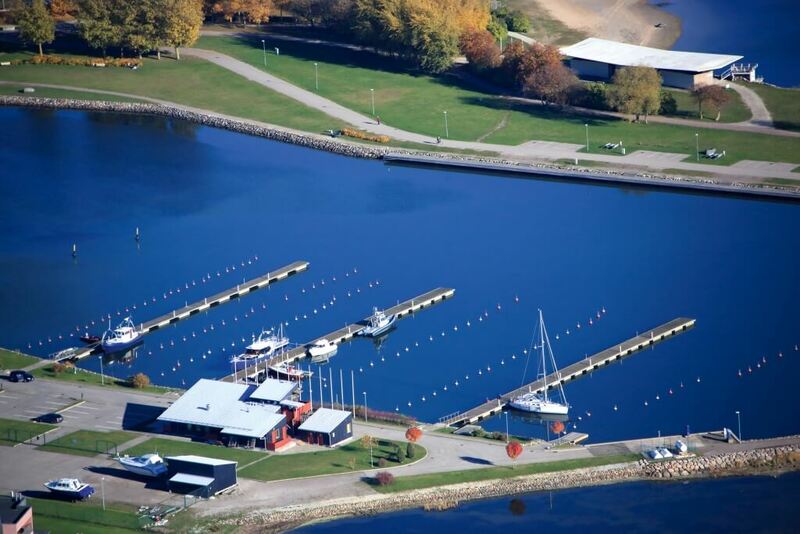 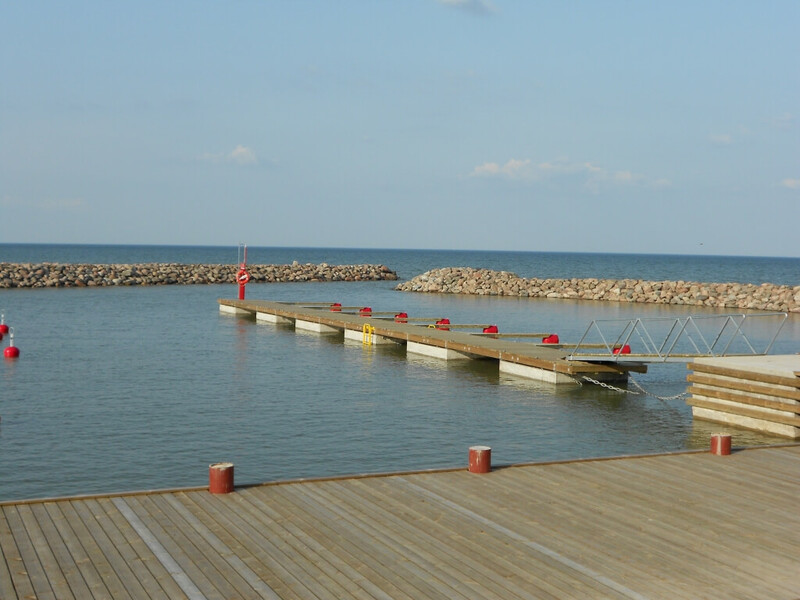 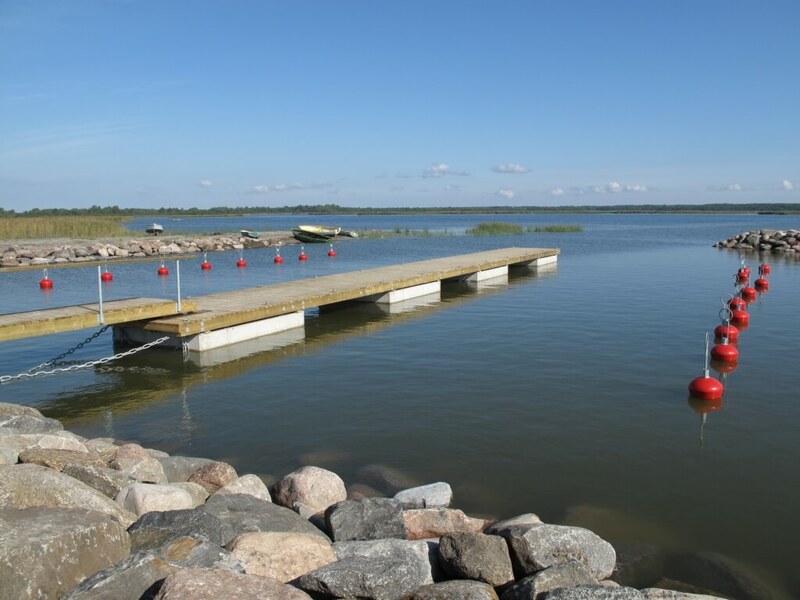 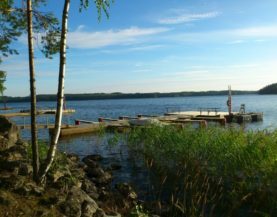 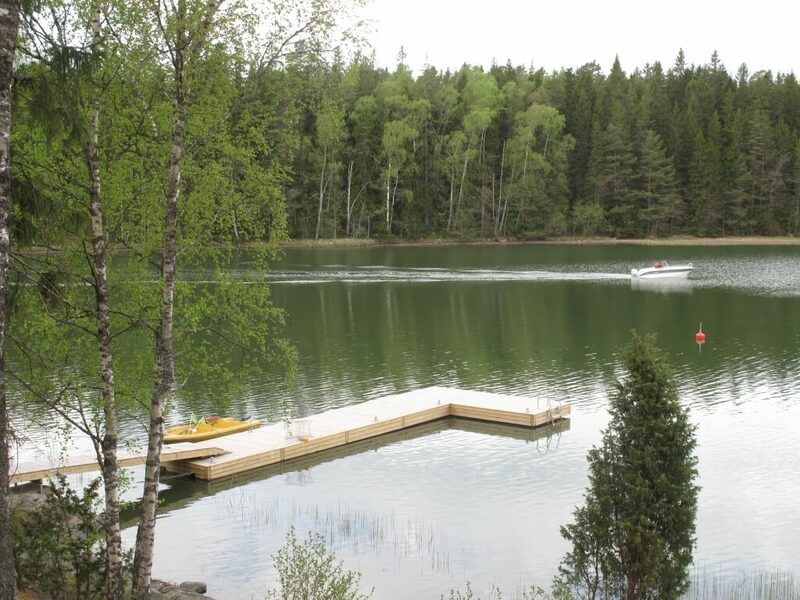 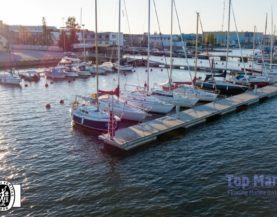 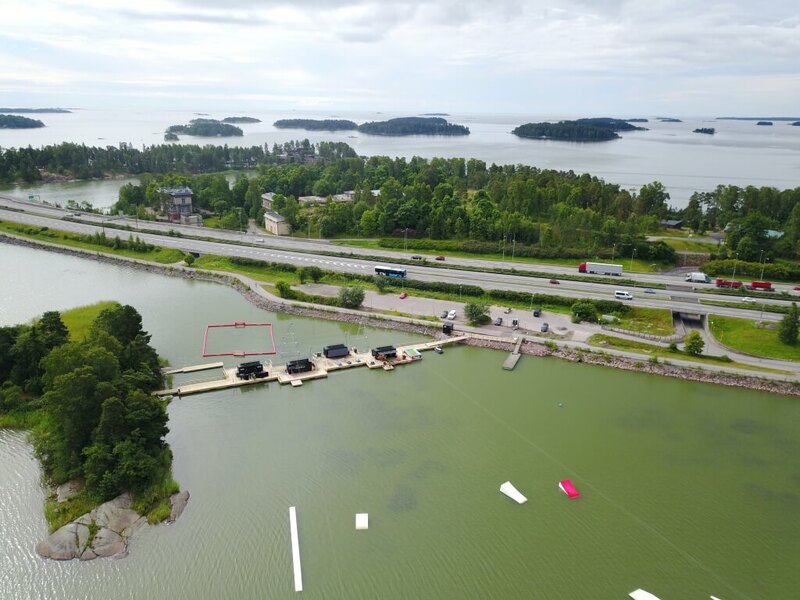 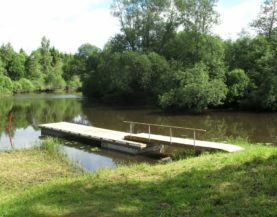 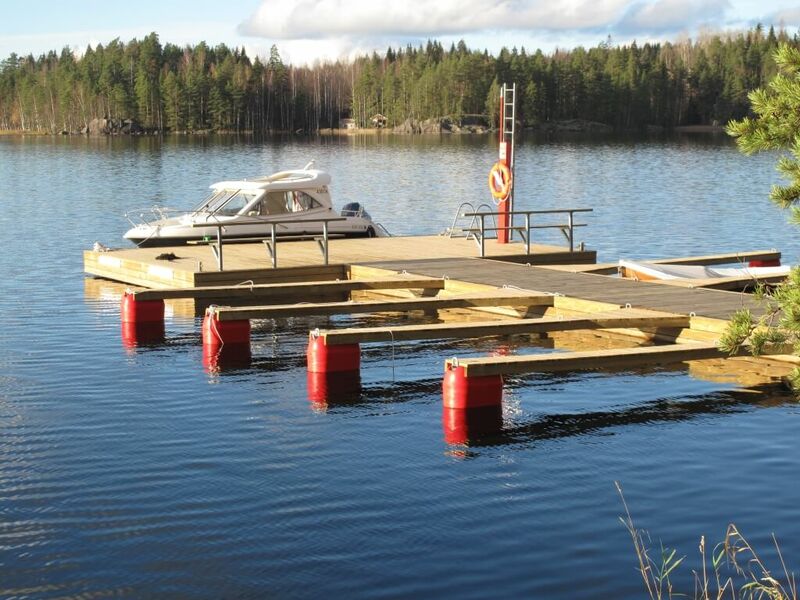 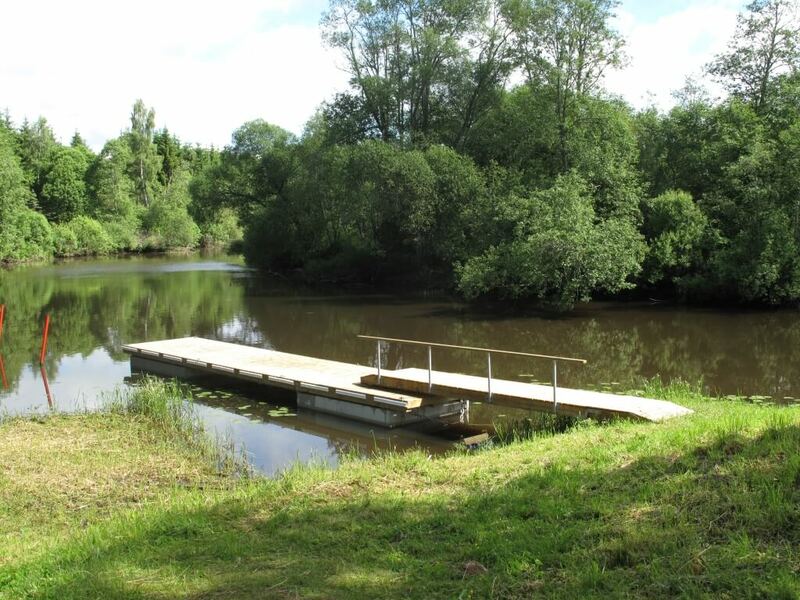 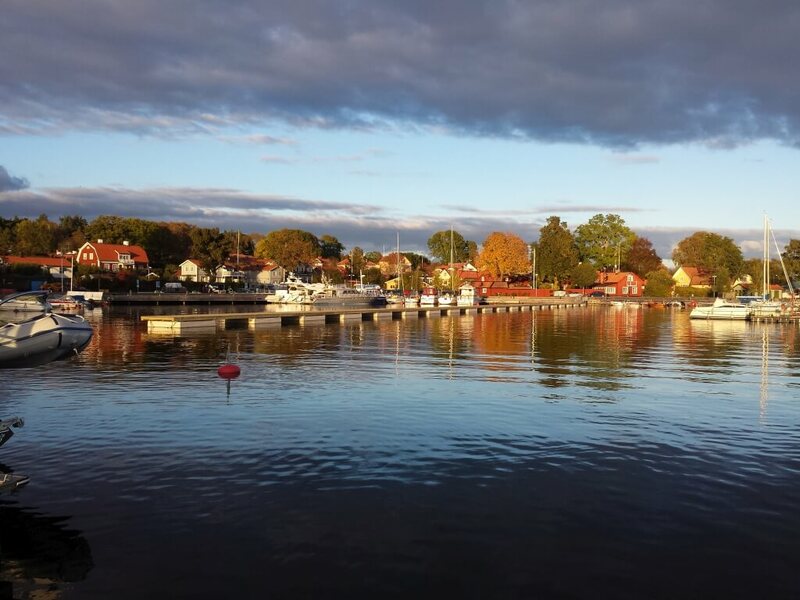 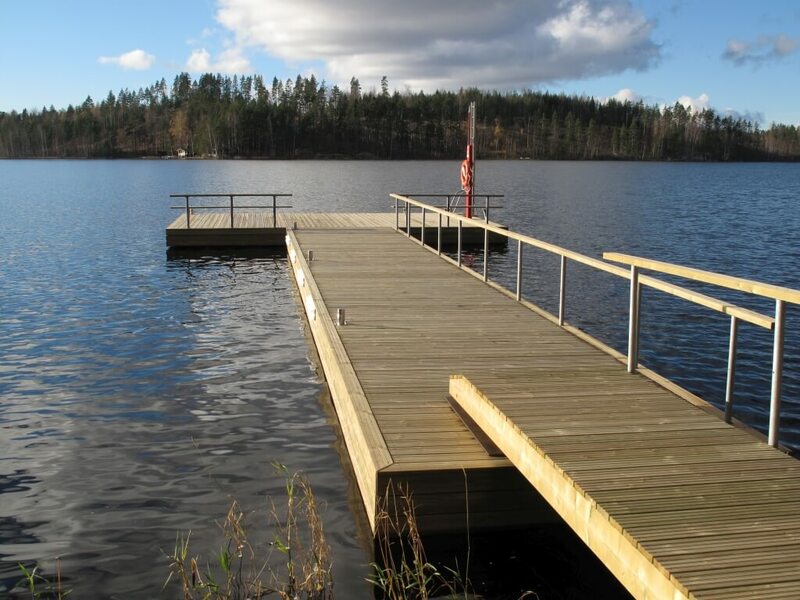 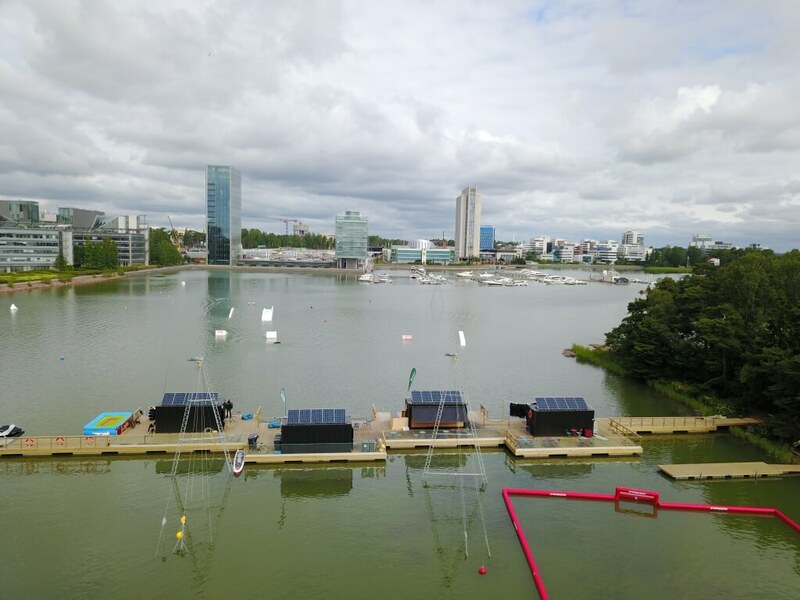 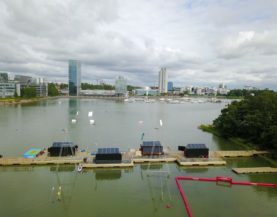 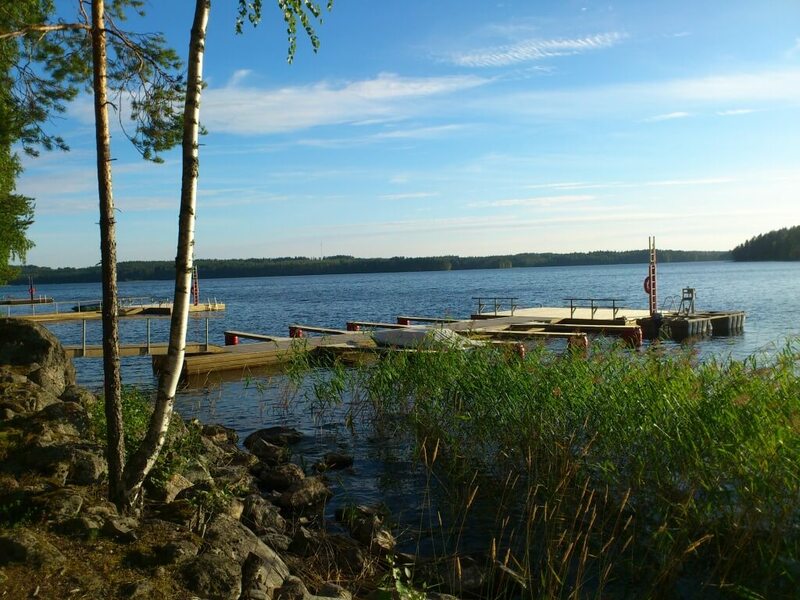 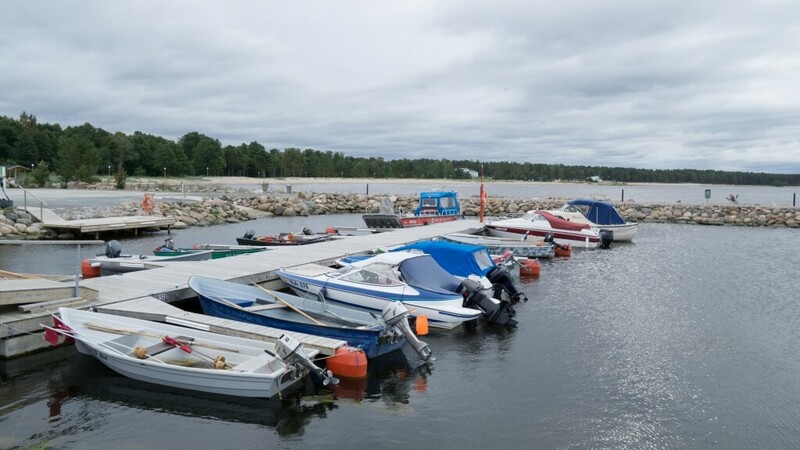 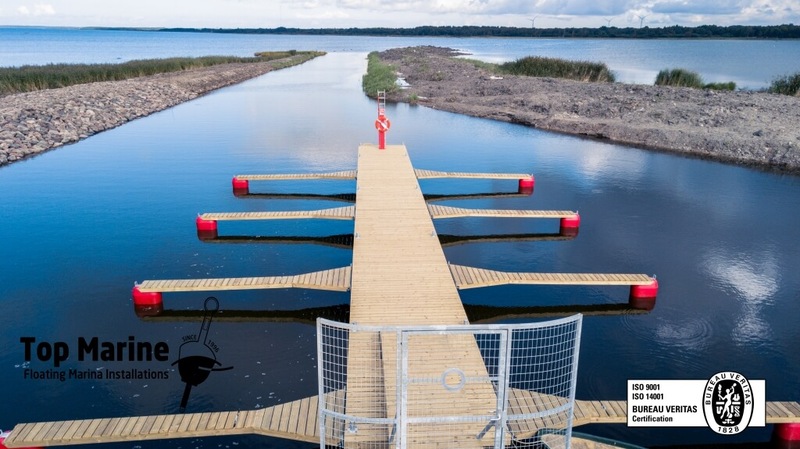 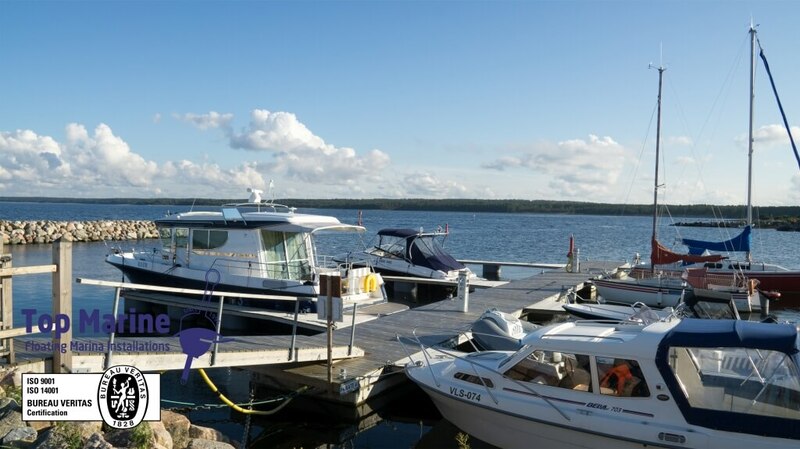 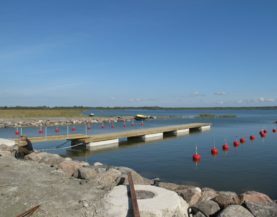 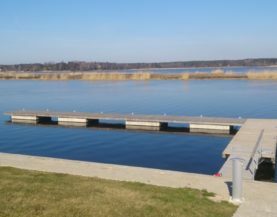 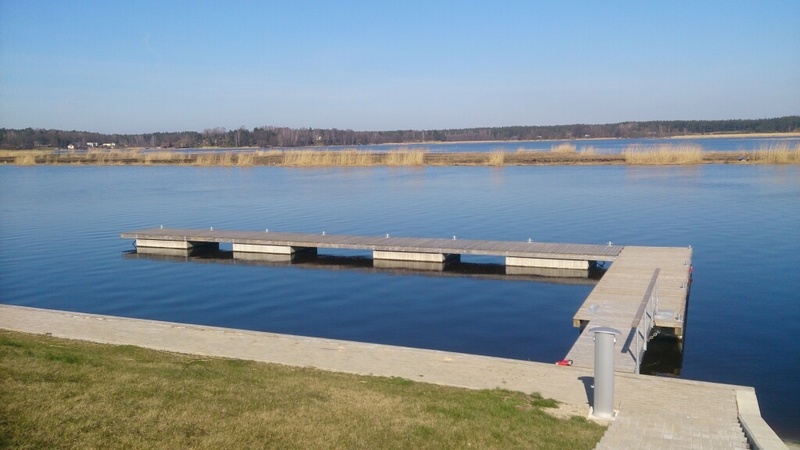 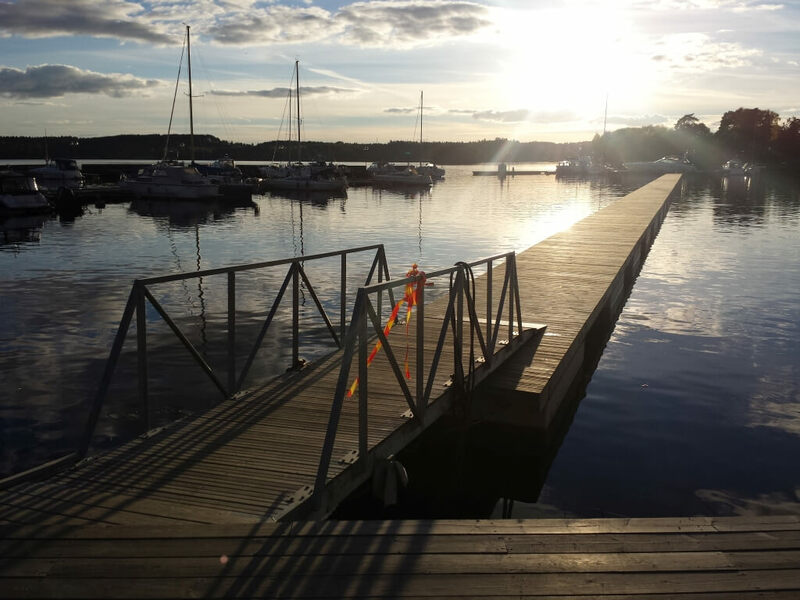 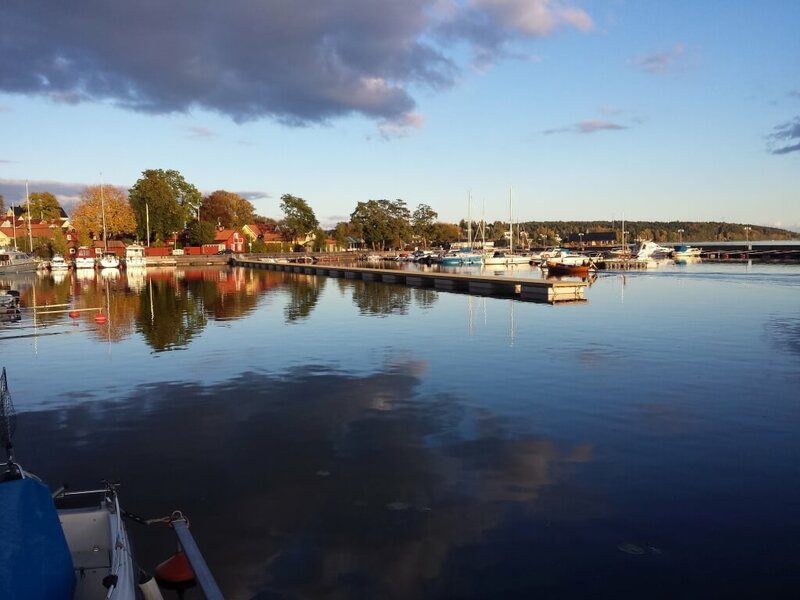 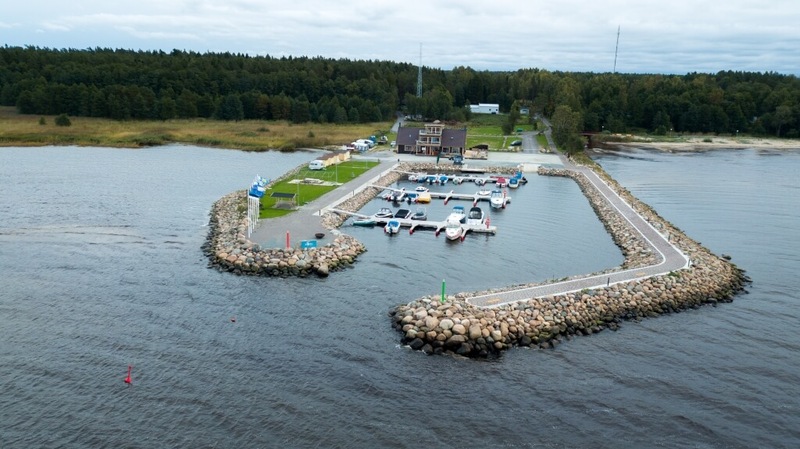 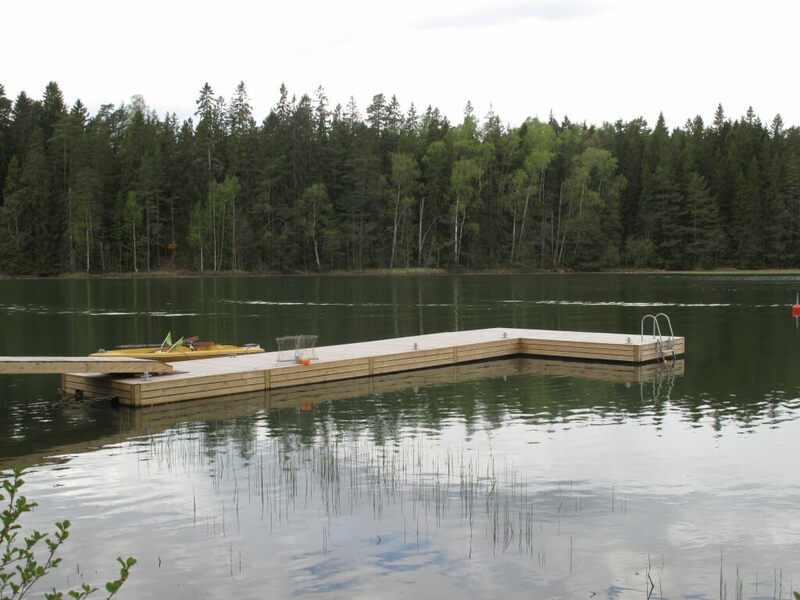 We manufacture timber pontoons with concrete floats in three standard widths: 2.4 m, 3 m and 3.2 m. The freeboard height is 0.5–0.7 m and we build the length according to your needs. 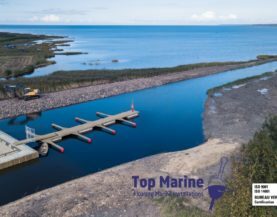 We select the EPS foam filled concrete floats according to the desired load capacity. 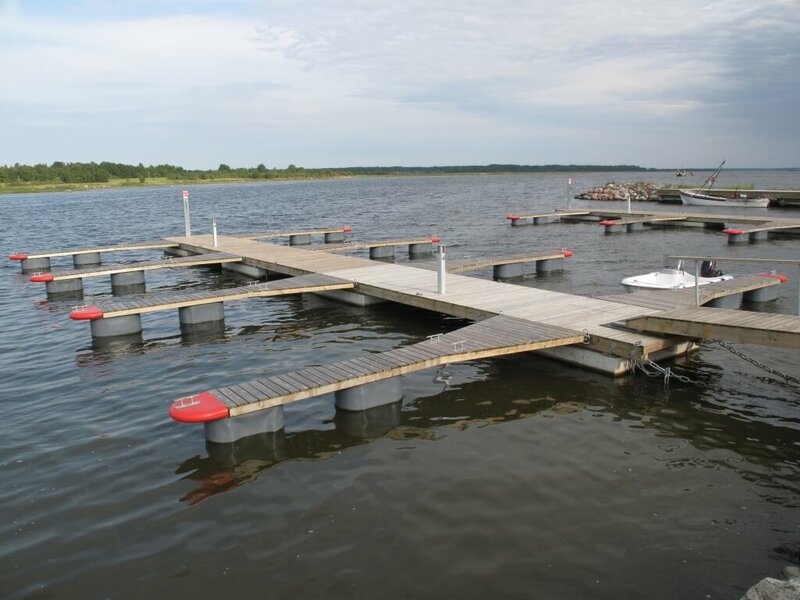 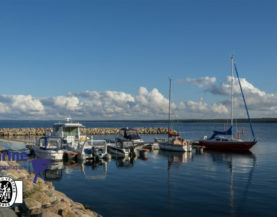 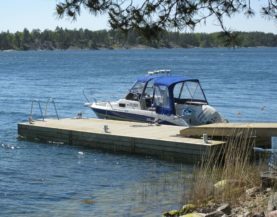 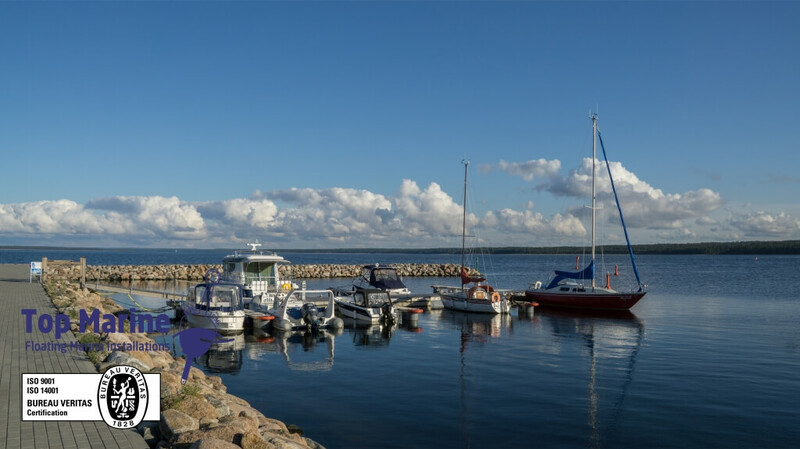 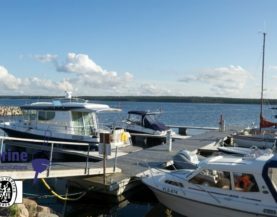 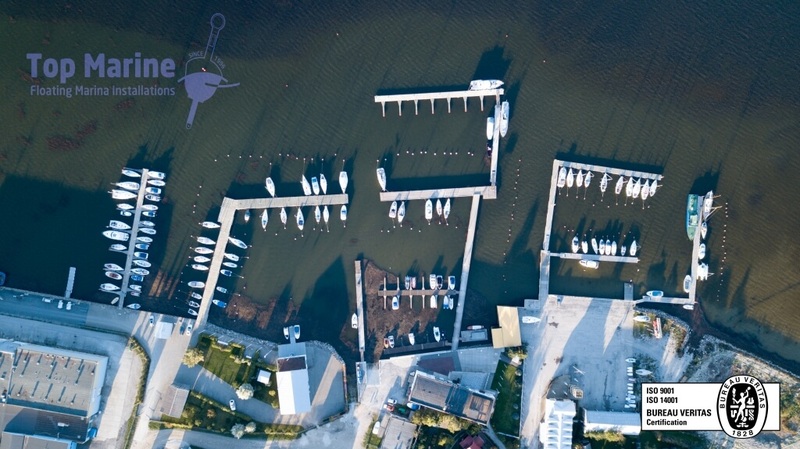 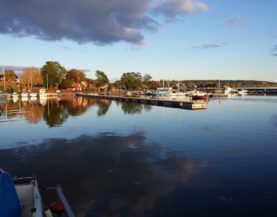 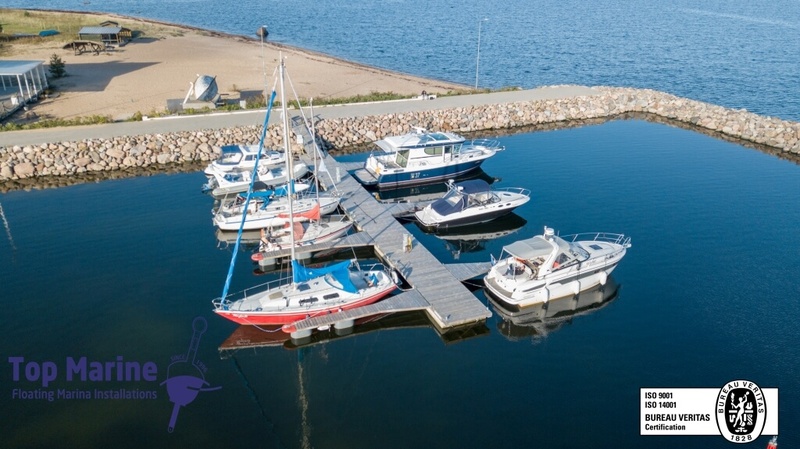 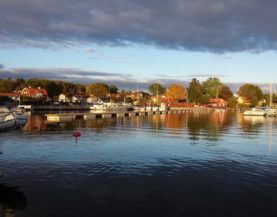 For mooring, boat booms, mooring fingers or anchor buoys can be fitted to the pontoon. 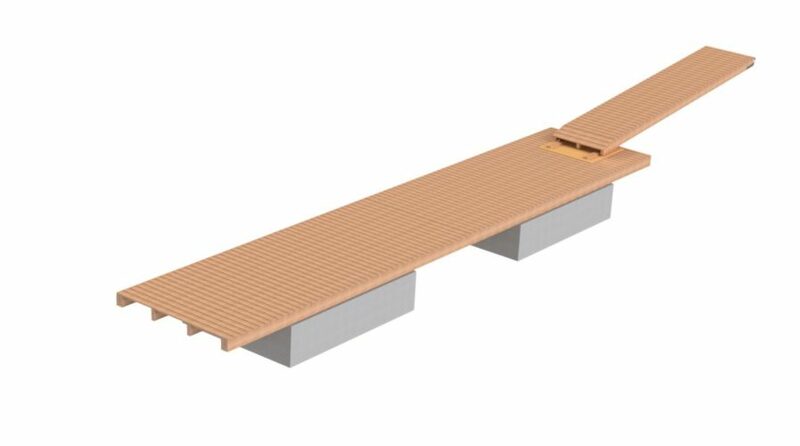 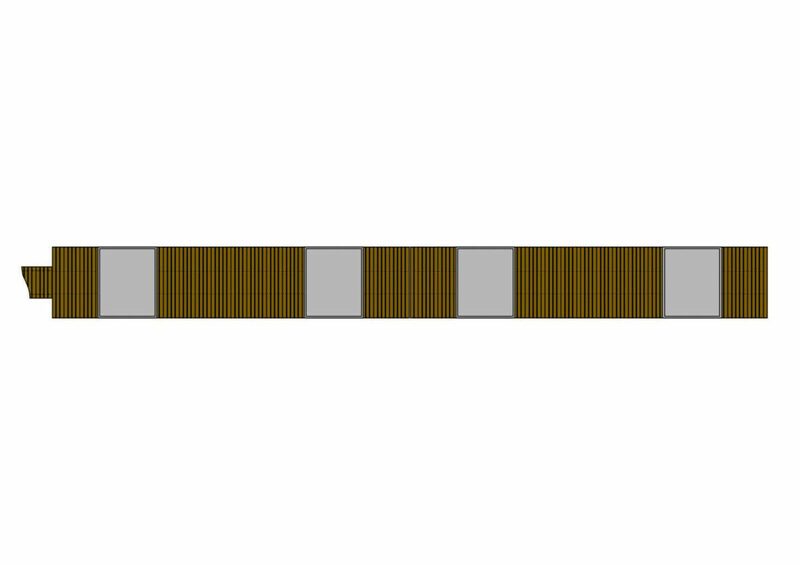 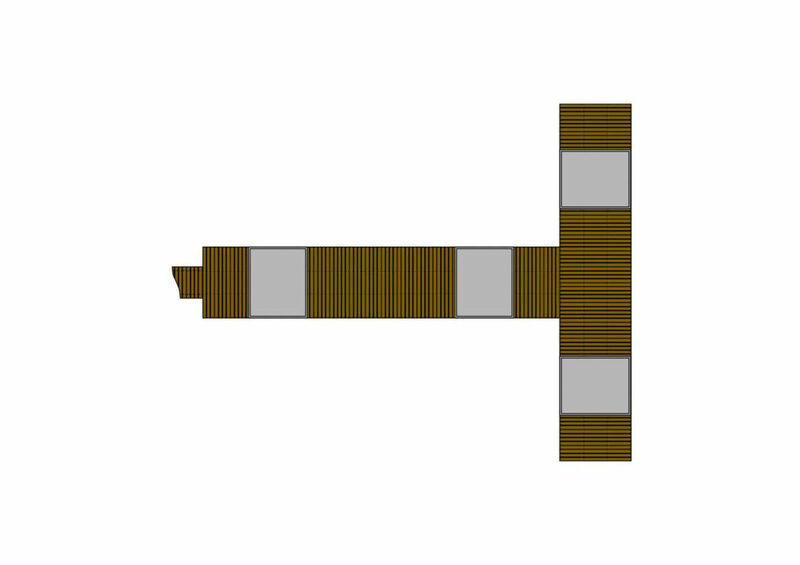 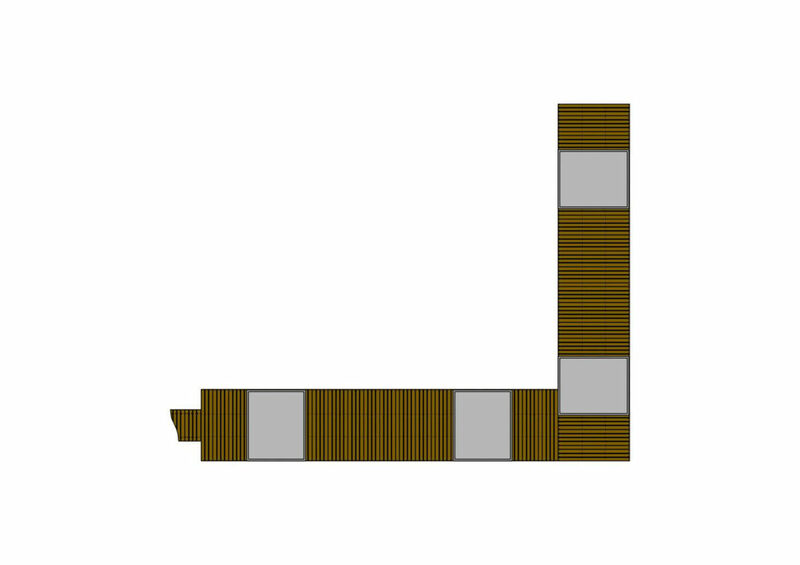 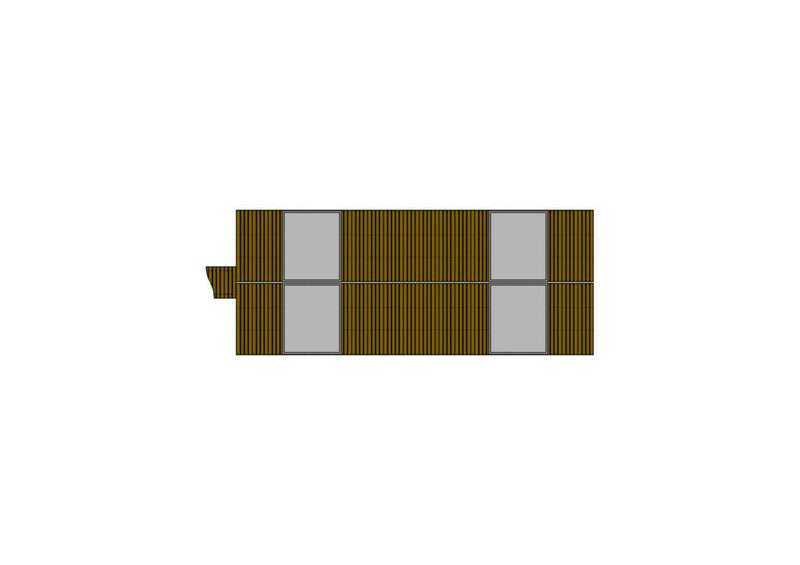 All metal parts have been been made resistant to weathering with hot-dip galvanizing and the load-bearing structure is made of impregnated softwood. 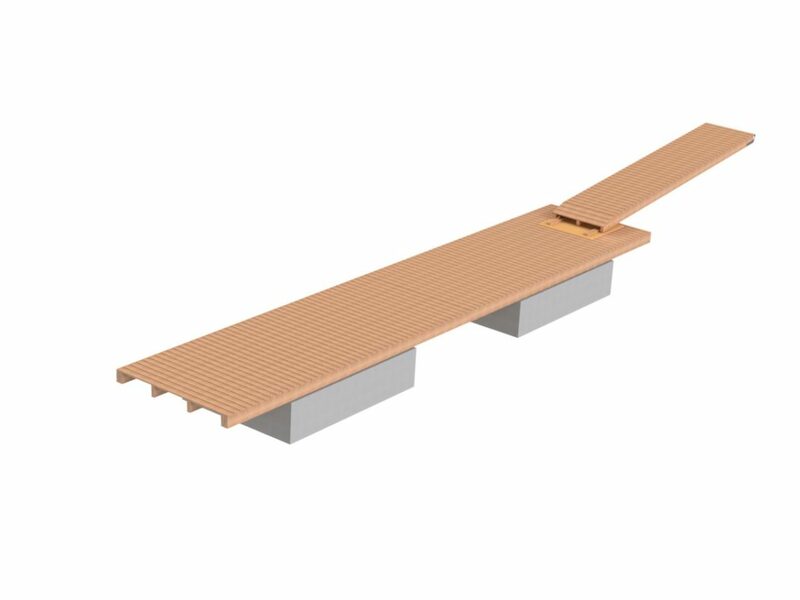 In addition, the wood materials used are sorted by strength and finger-jointed, ensuring top-notch quality and durability. 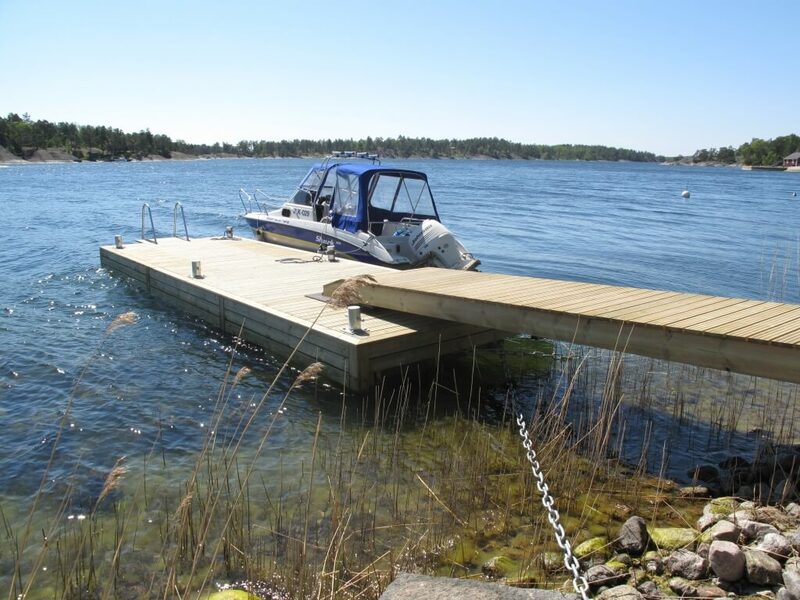 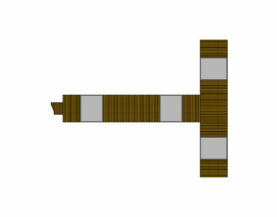 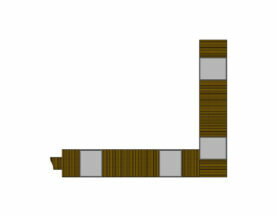 Accessories: fenders, ladders, side decking, railings, mooring rings or bollards, a lifebuoy set and lighting posts. 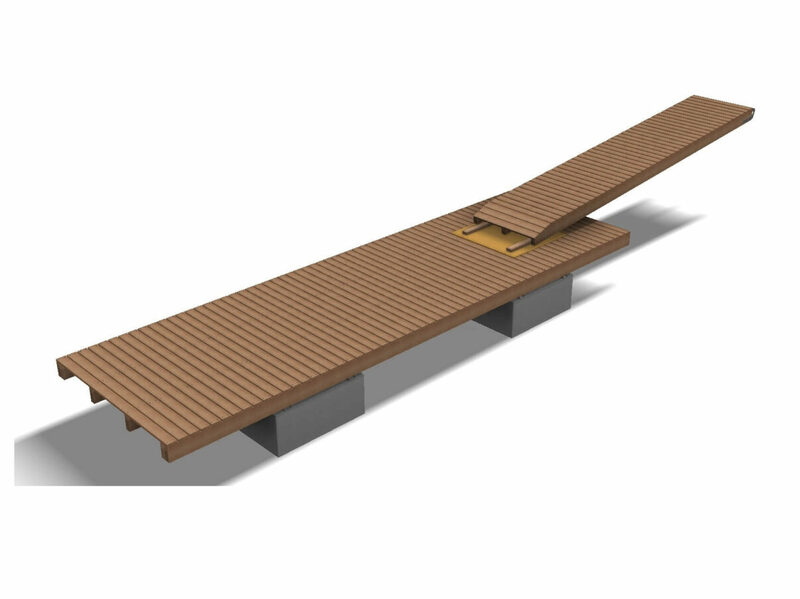 Noble wood decking and LED-lit bollards are available for those looking for an especially exclusive look. 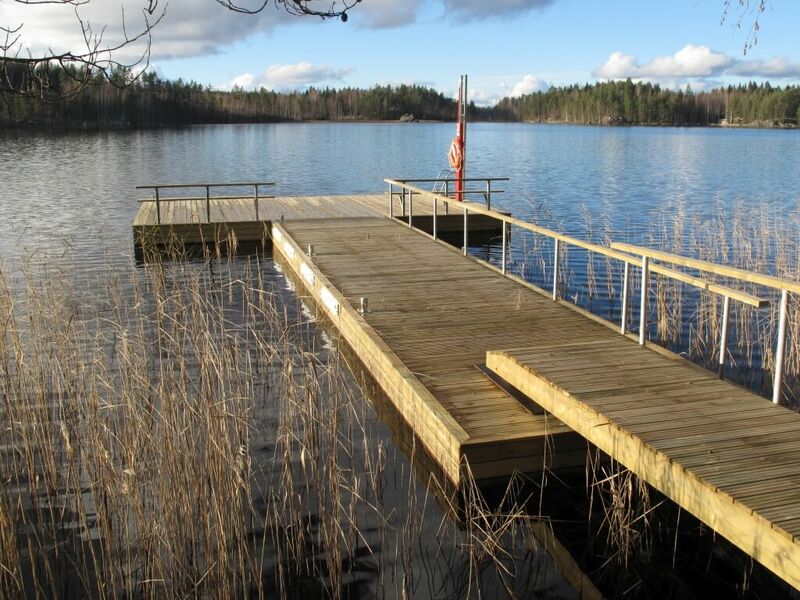 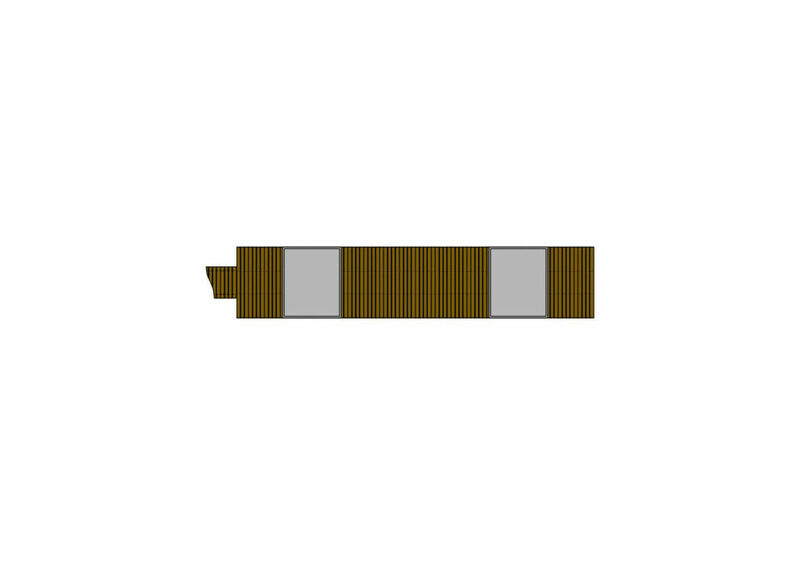 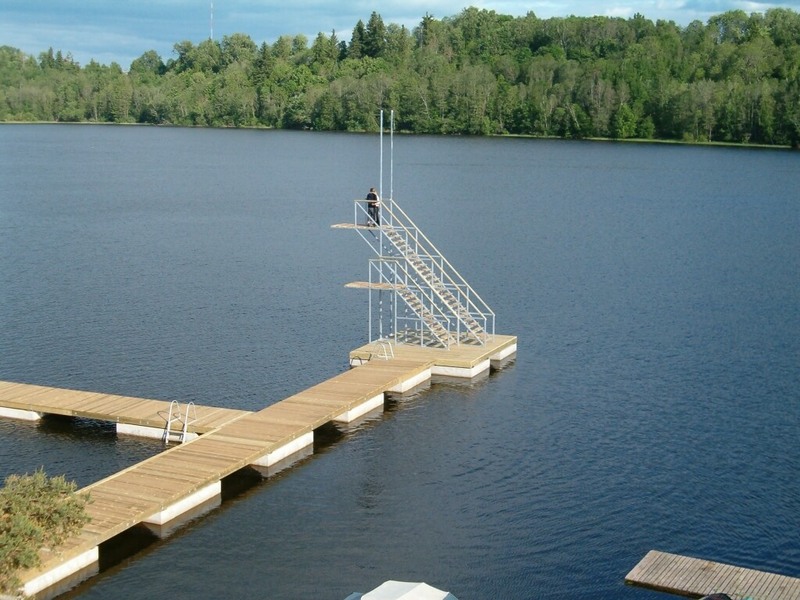 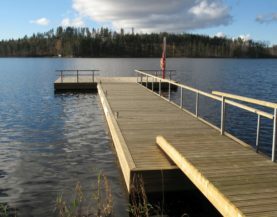 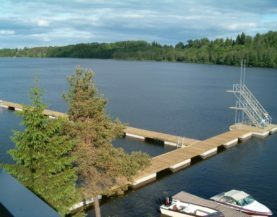 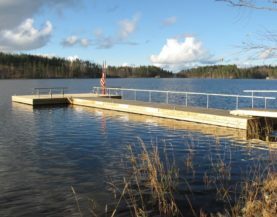 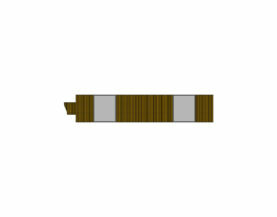 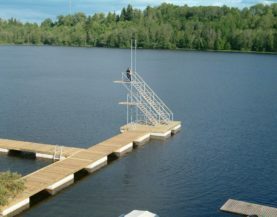 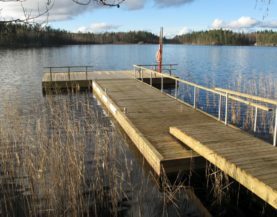 To prevent damage from ice, remove the ladder from the pontoon in autumn. 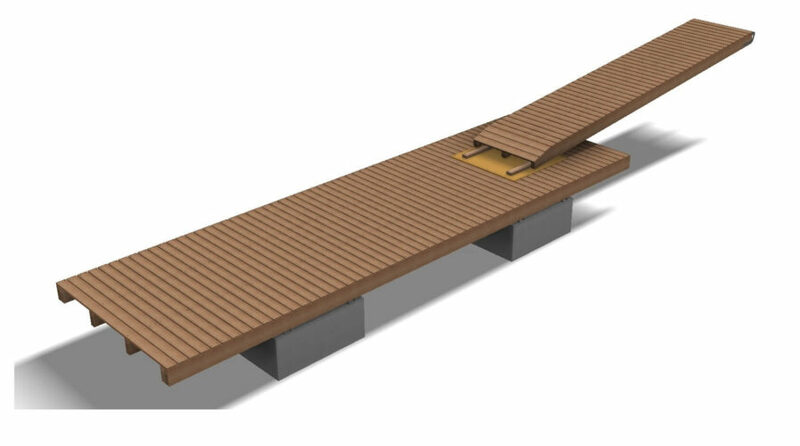 Load capacity 1.8 t, weight 2.72 t, freeboard height 0.56 m.
Load capacity 5.85 t, weight 4.78 t, freeboard height 0.67 m.